Every year, millions of dollars worth of state property goes missing: Tens of thousands of items, which supervisors in state agencies say they simply can’t find. Don’t care about it? You should: You paid for it. What’s missing? You name it: From hundreds of radios and radar units at the Illinois State Police, to a stolen ATV, missing boats, canoes, and a mini-submarine-like craft at the state’s Department of Natural Resources. Cars are missing. Furniture, light bars for the tops of squad cars, even an entire police radio console. No one can find them. And the numbers add up. NBC5 Investigates tallied missing-property reports which state agencies are required to submit every year, by law. Among the agencies responding to a Freedom of Information request, we found a whopping $14,970,475.00 in missing items, all of them purchased with taxpayer dollars. Some were almost certainly stolen, others misplaced—but none of them found. Among the agencies responding to NBC5’s open records request, the state Central Management Services department rang in with the biggest total—more than $3.8 million dollars in missing property. 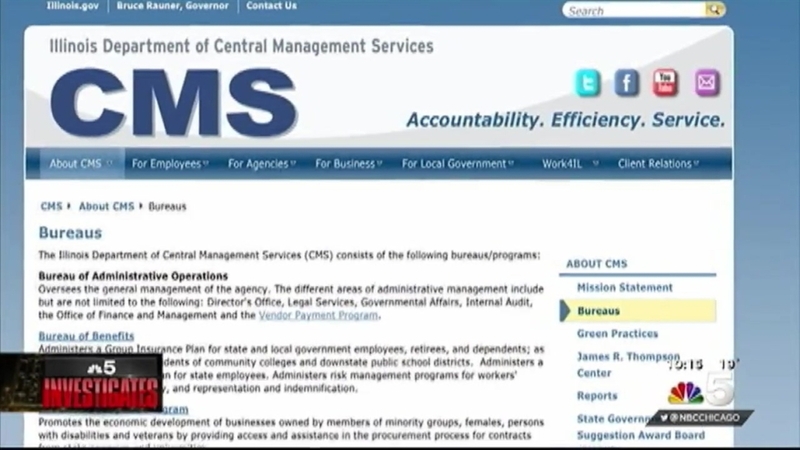 That’s ironic, because CMS is the agency to which all other state agencies report their inventories. Next in line is the Illinois Department of Corrections, missing $3.3 million in taxpayer-purchased property; then the State Police, missing more than $2 million. The Illinois Department of Transportation, the agency responsible for maintaining the state’s highways, reported a loss of some $729,000. Bhatt says when he took over last year, he was shocked to find state agencies using some 38 paper-based systems to keep track of inventory. CMS maintains there is a threshold, where agencies reporting losses are audited, in order to try and track down missing items. But when NBC5 asked for a list of state departments which had been held accountable, no list was provided. Bhatt argues they are ending. He says the Rauner administration has embarked on a massive program to computerize the process, bringing all inventory under one modern system. But he admits that will take time. For his part, Rep. Franks says he intends to hold hearings based on NBC5 Investigates’ findings, to try and determine what is -- and isn’t -- done to track down all the missing stuff which the taxpayers paid for.